Dharamveer was slipped in to injecting drug use during his stints with various odd jobs in Panipat. From a peer educator he came to know about services provided by Turning Point Foundation. He registered his name and undergone counselling and various medical checkups. He used to take clean needles and syringes from the TPF. Later motivated with counselling, he enrolled with OST and wanted to leave the drugs. After taking Oral Substitution Therapy for 3 months, he left drugs completely but the formidable hurdle before him was to earn a livelihood. During his counselling eh Counselor at TPF enabled him to identify a suitable vocation for him. So he got ready to start cloths ironing work in a nearby better of colony. 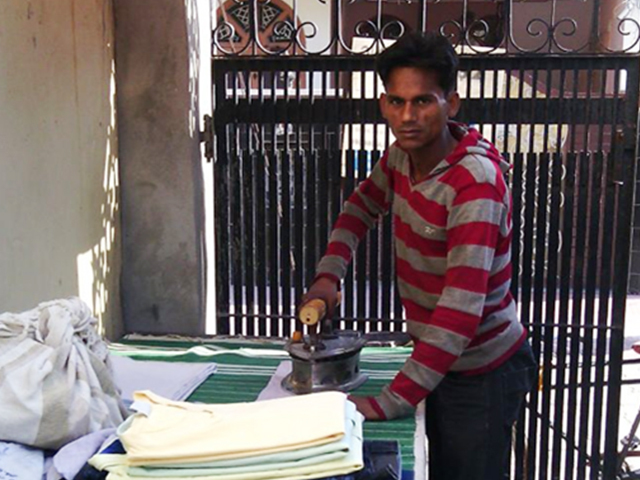 TPF financially supported him purchased a iron box for him as he does not have money for that. Now he earns Rs 500/- to Rs 800/- a day and supports his family. Moreover he is away from drugs and its leading life of dignity.